Wedding PR: Martha Stewart Weddings, Honeybook and more! We hope everyone is having a relaxing holiday weekend! We are so excited to share our latest bunch of client features, including Honeybook, Martha Stewart Weddings and more! See more below. 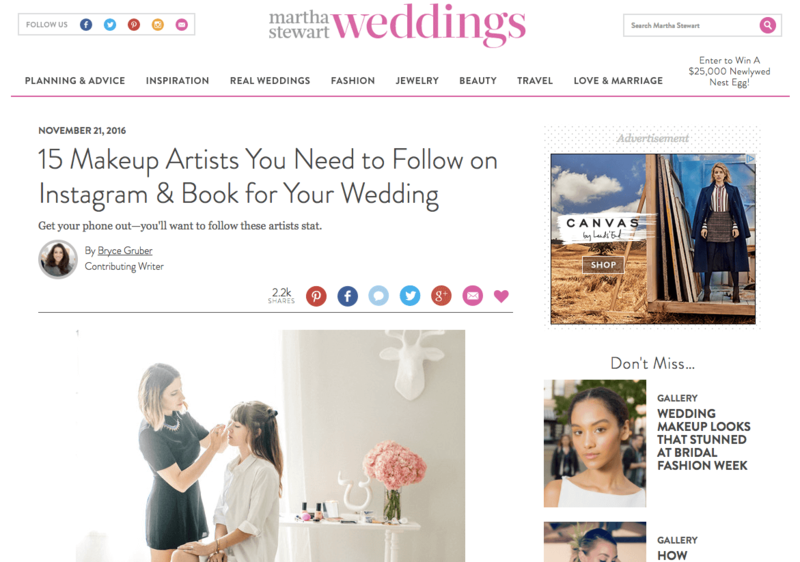 Beauty by Britny was featured on Martha Stewart Weddings in their article 15 Makeup Artists You Need to Follow on Instagram and Book For Your Wedding. See the full feature here. Taylor’d Events Group was featured on Honeybook with her guest article Best Practices for Photographers Working With Planners. See the full article here. Historic Mankin Mansion was featured on GayWeddings.com with the real wedding of Jason and Bobby. See the full feature here. Cocoon Events Management Group was featured on WeddingIQ with the guest article Building a Strong Destination Event Team. See the full article here. Taylor’d Events Group was featured on Special Events with the guest article Five Tips to Find a More Productive Start Each Morning. See the full article here. LadyMarry was featured on StartUpCatchUp in the article Plan Your Wedding, Anywhere, Anytime. See the full feature here. Cocoon Events Management Group was featured on Tidewater and Tulle Travels with Jason and Sirin’s stroll through Marrakesh. See the full feature here. Destination Weddings was featured on Catch My Party with Doreen and David’s Jamaica wedding. See the full feature here.